Pedersen, Anne-marie and Annette Mcfadyen Clark. "Kaska Dena". The Canadian Encyclopedia, 10 October 2018, Historica Canada. https://www.thecanadianencyclopedia.ca/en/article/kaska. Accessed 18 April 2019. The Kaska Dena or Denek’éh (often referred to simply as Kaska) are a Dene-speaking people who live in southern Yukon and northern British Columbia, primarily in the communities of Lower Post, Upper Liard (near Watson Lake), Watson Lake and Ross River in the Pelly drainage. In the 2016 census, 1,440 people reported having Kaska ancestry. Tu tcogotena (Tu’tcogotena): Known as the “big water dwellers,” the Tu tcogotena lived primarily in the Tucho (Frances Lake) and Tucho Tue (Frances River) areas in the Yukon. Tu tcogotena territory also stretched to the Hyland and Smith rivers. Espatodena or (E)spa’totena: These Kaska Dena peoples — the “dwellers amongst the wild goats” — primarily occupied the area north of the Tsa Tue (Beaver River, YT) and the South Nahanni River (NT). According to the Kaska History and Cultural Research Training Project (1997), a Dene people known as the Gata otena, “people who hunt rabbits,” also lived in these areas. Naatitu a gotena (Natitu?a’gotena): Referred to as the “dwellers at a (high) sharp mountain where a little river starts,” the Naatitu a gotena lived primarily around the headwaters of the Liard River, YT, to the areas above Lower Post, BC. To the west of their territory were the Cassair Mountains ; to the east, the Simpson Range. Ki stagotena (Ki’stagotena): Known as the “mountain dwellers,” the Ki stagotena traditionally occupied the valleys of the Dease River and the northern part of Dease Lake in BC. Tse lona (Tse’lona): The “mountain top” people (also known as the “point at which is located the end of the world” people) lived primarily in the Rocky Mountain trench headwaters and valleys, as well as from the Kechika range to the Toad River and Flat River areas in BC. 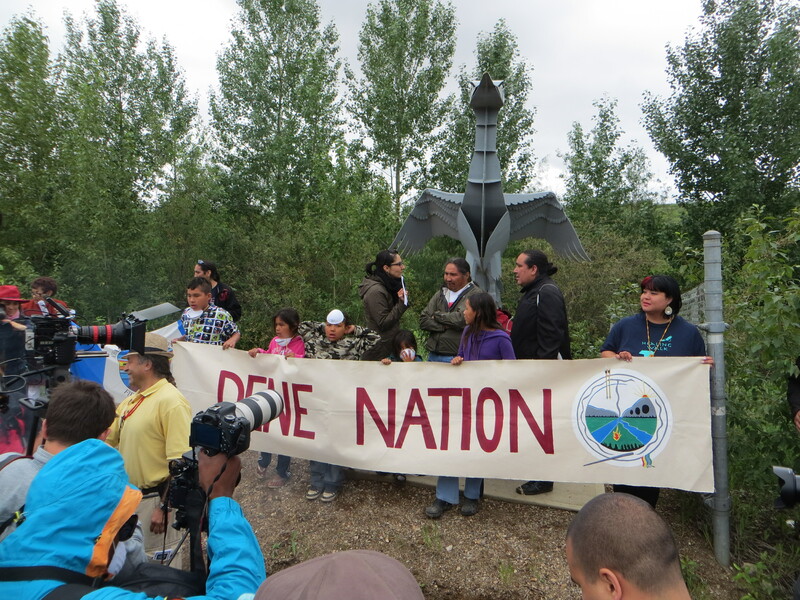 Despite these group divisions, the Kaska considered themselves one nation (as they still do). Respective territorial boundaries were fluid; Kaska hunters from one group would travel to, and use, the resources from another group as often as necessary. It was only until the arrival of Europeans that traditional boundaries were redrawn to create towns and provinces that separated Kaska communities. ( See also Indigenous Territory). In the 2016 census, 1,440 people reported having Kaska ancestry. The Kaska hunted woodland caribou, moose and Dall sheep (see Mountain Sheep) throughout their traditional territory. Berries and whitefish supplemented their diet. The Kaska lived in tents or sod houses that could be easily deconstructed and reconstructed as they moved from one hunting ground to another. (See alsoArchitectural History: Indigenous People.) They often travelled to trade and hunt by canoe during the warm months, and by snowshoe and toboggan in the winter. 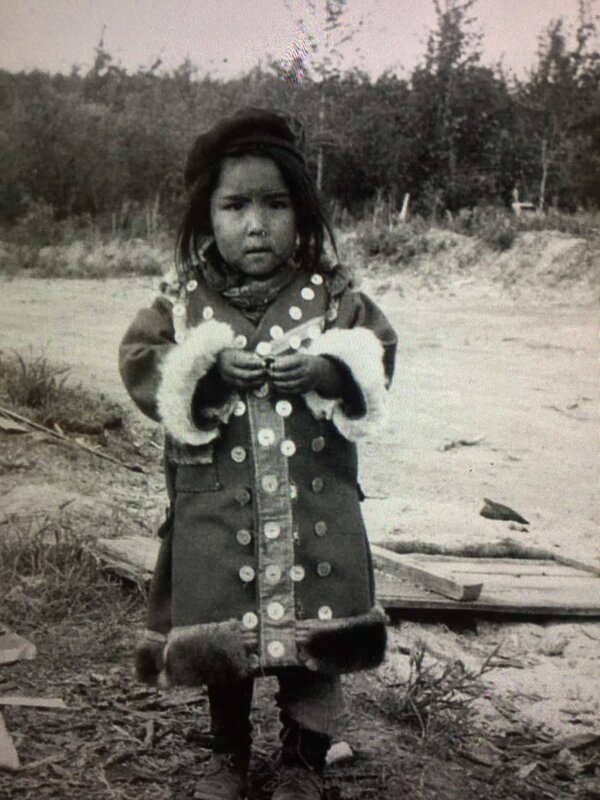 Kaska girl, photographed at Lower Post, BC , in 1945. 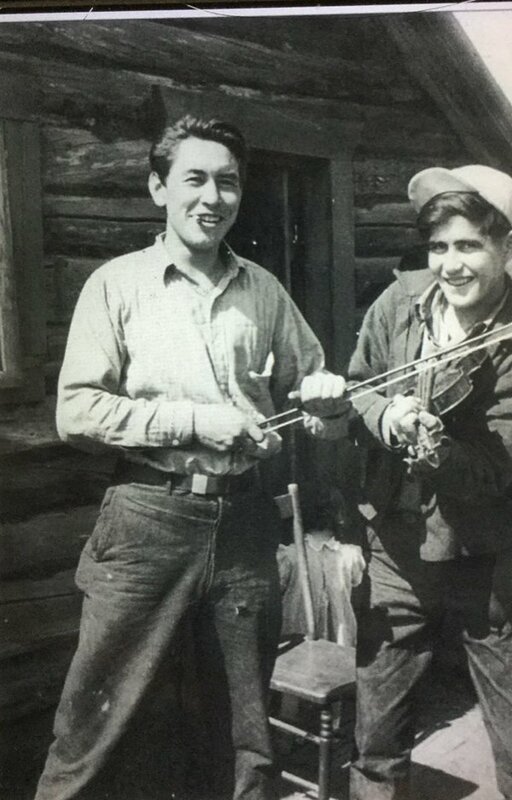 Two Kaska Dena men at Lower Post, BC, in 1945. The primary unit of Kaska society was the local band, consisting of an extended family with a male leader. Most Kaska also belonged to one of two moieties (kinship groups or clans) — Wolf and Raven (crow). These moieties were matrilineal, meaning that ancestry was traced through the female line (e.g., if a mother belonged to the Wolf moiety, her children were also Wolf members). Kaska moieties were also exogamous, meaning that a member of the Raven group could not marry another Raven; the same is true for the Wolf. Despite these clan affiliations, the rules governing marriage and other social customs were not always strictly observed. Today, Kaska bands (now known as First Nations) are governed by the Indian Act. An elected chief and council represent each Kaska nation in addition to that nation’s hereditary chief. Kaska art is inspired by nature as well as by their history and heritage. Most Kaska art features natural products, such as hides, wood and antlers. Their ceremonial masks hold spiritual significance, as they are often used during prayers and rituals. Drumming is also important to Kaska and Dene cultures. The drum beat represents the heartbeat of the nation, and unites the people in prayer and song. 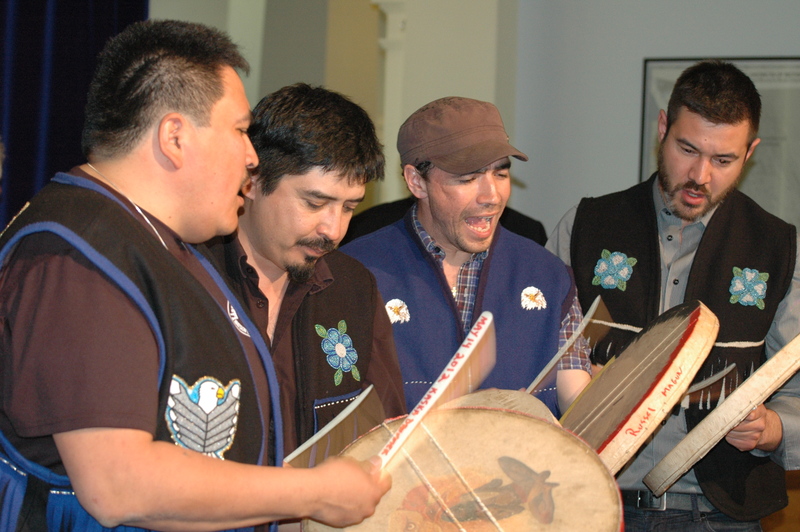 Formed in the late 1980s, the Kaska Dena Drummers are a locally well-known musical group that perform traditional songs. Historically, the Kaska also participated in the potlatch — a cultural gift-giving ceremony. Potlatch was banned by the Indian Act until 1951. Many Indigenous communities have since resumed the practice. Kaska is a Dene (Athabaskan) language spoken primarily in the communities of Ross River, Watson Lake, Upper Liard, Lower Post, Fireside, Good Hope Lake (see also Fort Good Hope), Dease Lake and Muncho Lake. The language is closely related to those of neighbouring (Dene-speaking) nations, including Tahltan, Tagish and Sekani. Kaska speakers can often understand these neighbouring languages, and the speakers of those languages can often understand Kaska. Areas in Canada where the Kaska Dena language is spoken. Kaska rituals and beliefs are similar to those of other Dene peoples, including the Denesuline (Chipewyan) and Slavey. Although many Kaska were converted to Christianity by missionaries in the 19th and 20th centuries, the Kaska have retained their Indigenous spirituality. The Kaska belief system centres on an all-powerful Creator figure, generally referred to as Denetia, meaning “Good Person.” The Kaska also believe in spiritual entities that can bring good or ill will. Shamans, known as the nedete (“dreamers”), are wise spiritual leaders, healers and clairvoyants who advise Kaska people on matters regarding their spiritual, emotional and physical wellbeing. Oral tradition is an important part of Kaska culture and spirituality. Stories speak about the past and provide lessons or morals about living a good life. Legends explain the origins of the world and of all the creatures that live upon it. These stories are still passed down from generation to generation. Similarly, Kaska stories about the origin of the earth differ slightly, but generally describe a world where the earth was buried under water. The animals, including Beaver, Muskrat and the birds, wanted to get to the earth below, so they dove down as far down as they could, trying to reach it. None of them were successful. One day, a bird (known as Diver) ventured underwater in search of earth, where he stayed for six days. When he resurfaced, Diver’s animal friends found evidence of earth underneath his talons. The animals took this wet earth and molded it, creating the earth that we know today. Trees and plants grew on the wet earth as it dried, and both animals and humans thrived upon this new land. In 1821, the Hudson’s Bay Company (HBC) began trading with the Nahanni — a now outdated term they used to refer to the Kaska people (and potentially to other Indigenous traders, such as the Southern Tutchone). The presence of outsiders on Kaska territory increased in 1873, following the Cassiar District gold rush, when other First Nations, Métis, European and Chinese people entered the region. Roughly three years later, the HBC established trading posts at Lower Post and McDame Creek. By 1888, the number of gold miners had dwindled, but many Indigenous people, referred to as Cascar, remained. The ethnic backgrounds of the families associated with the Lower Post and McDame Creek trading posts were diverse, though Dene speakers made up the majority, but intermarriage between the offspring of the immigrants represented the first step towards integration of the communities. As wage-labour opportunities declined, hunting and fur trapping provided the most stable resources. Forced to share their land with settlers during this time, the Kaska were confined to certain communities and reserves, particularly in the Cassiar District of northwestern British Columbia. During the first half of the 20th century, Euro-Canadian influences on Kaska people increased. Lower Post joined the air route between Edmonton and Whitehorse after the 1920s, opening that community to outside influences. During the Second World War period, trapping and wage- labour economies improved, as Watson Lake became a supply station during construction of the Alaska Highway and Lower Post, a depot. Governmental services increased dramatically during this time, and interactions with Euro-Canadians continued to be channelled into administrative and educational functions and mining operations. Starting in 1994, the Kaska Dena Council entered into the treaty negotiation process with the governments of Canada and British Columbia. The goal is to lay out the terms of a treaty that will specify rights to traditional lands and resources, structures of government, fiscal relations and more. Currently, the groups are at stage four in a six stage process. In 2013, the Kaska Dena Council signed an Incremental Treaty Agreement (ITA) with the Province of British Columbia while negotiations for a treaty continued. The ITA is not a treaty, but it provides treaty-related benefits to First Nations as they go through the treaty process. Since 2006, the Kaska Dena have been involved in a land dispute over the western boundaries of Treaty 8. The Treaty 8 First Nations of West Moberly, Halfway River, Saulteau, Prophet River, Doig River and Fort Nelson argue that the true western boundary of the treaty lies along the Arctic-Pacific watershed. In 2005, these nations filed a lawsuit in the BC Supreme Court seeking a declaration of their territory. 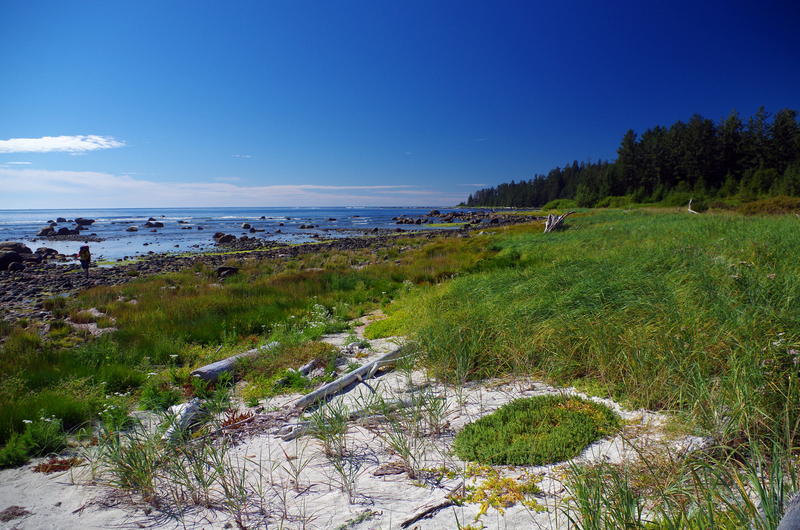 While the federal government agrees with these nations’ views on the boundary, the government of British Columbia and the Kaska Dena Council do not. Both have argued that the boundaries of Treaty 8 lay further east. Most of Kaska Dena traditional territory lies in the disputed western portion of Treaty 8; therefore, the resolution to this case is significant to Kaska nations. The trial began in 2014, but the issue is ongoing. Kaska Dena traditional territory and the lands of Treaty 8 overlap. In 2012, the Kaska Dena Council and the Province of British Columbia signed the Strategic Land Use Planning Agreement. This agreement provides the opportunity for employment, investment and development in Kaska communities. 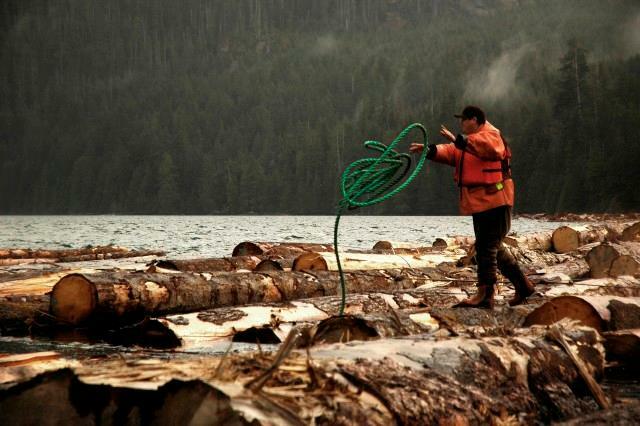 The Kaska Dena Council has also been involved in other negotiations with the Province of British Columbia, including the Daylu Dena Council Forest Consultation and Revenue Sharing Agreement (2014), Dease River Forest Consultation and Revenue Sharing Agreement (2014), Kwadacha Forest Consultation and Revenue Sharing Agreement (2014) and Kaska Dena Council Strategic Engagement Agreement (2015). Representatives of the B.C. 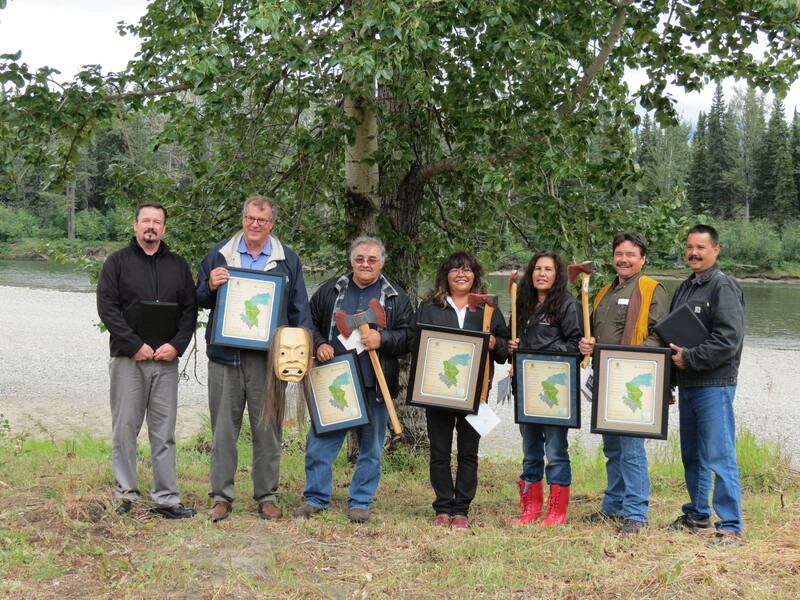 government and Kaska Dena First Nations strike a celebratory pose following signing of the Strategic Land Use Planning Agreement at the Rapid River Gathering Site (2012). Kaska Dena drummers perform during the signing of the new strategic engagement agreement (SEA) with the Kaska Dena First Nations (2012). Since 1981, the Kaska Dena Council has represented the Kaska people in treaty negotiations with federal and provincial governments. The Council also promotes and protects Kaska culture, language and heritage, and works to provide social and community services. The Council has nine directors, including three elected executive officers. Patrick Moore, “The Kaska of Canada,” in Endangered Peoples of the Arctic: Struggles to Survive and Thrive, ed. byMilton Freeman (2000). J. Helm, ed., Handbook of North American Indians, vol 6: Subarctic (1981). Barbra A. Meek, We Are Our Language: An Ethnography of Language Revitalization in a Northern Athabaskan Community (2010). Kaska Dena Council, Kaska History and Cultural Research Training Project (1997). J. Helm, ed, Handbook of North American Indians, vol 6: Subarctic (1981).